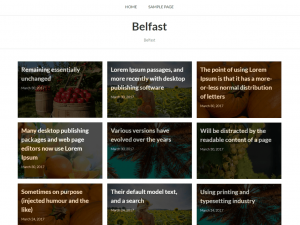 Belfast is a beautiful, responsive and retina-ready Pinterest-style theme for creative minded people. Belfast can be used for personal, photography, art, fashion, nature, health or any minimalistic style website you want to create. It is highly optimised for SEO and very lightweight to ensure lightning quick loading speeds.